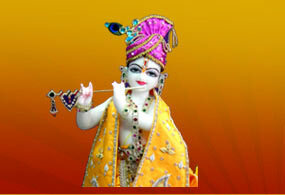 Krishna, is the beloved personality of Indian Culture. 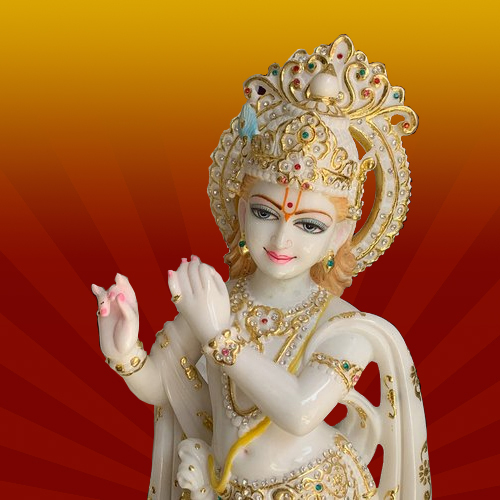 The Marble Krishna Statues presented by us simply shows the beauty of Lord Krishna. The statues are aesthetically designed in different patterns, sizes and designs that easily attracts the viewers. Owing to excellent finish, elevated durability and smooth edges, this range is widely acknowledged by our clients. 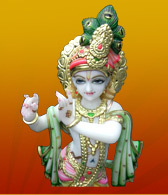 The Marble Krishna Sculpture are simply showing the beauty of Lord Krishna. Available in many colors and styles, these statues can also be customized as per the specific requirements of the clients. 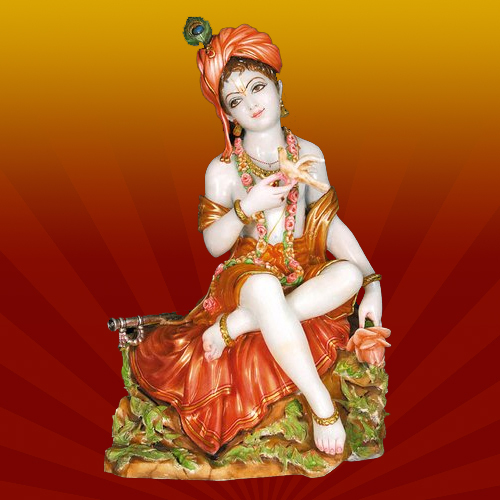 Lord Krishna is sitting on the rock with flute in his side and he is thinking something. 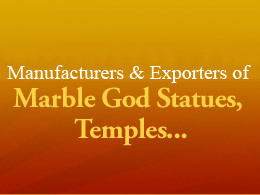 Our clients can avail these statues at most affordable rates from us. 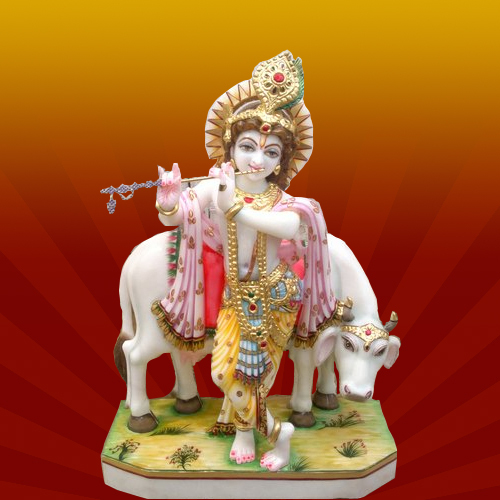 We offer Lord Krishna Statue, which is carved out from premium quality marble stone. Lord is presented in blue color with his cow and playing the flute with his leg folded in a style. The statues are decorated with golden metallic paint to highlight these features and are available in the market at leading rates. 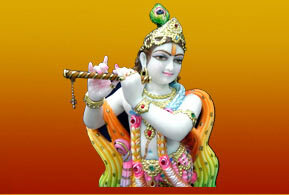 Here Lord Krishna is present in his classic pose of playing the flute with an enchanting smile on his face. The statue is perfectly carved out of premium quality marble and not a single detail is left to be done on his jewelry and clothes. 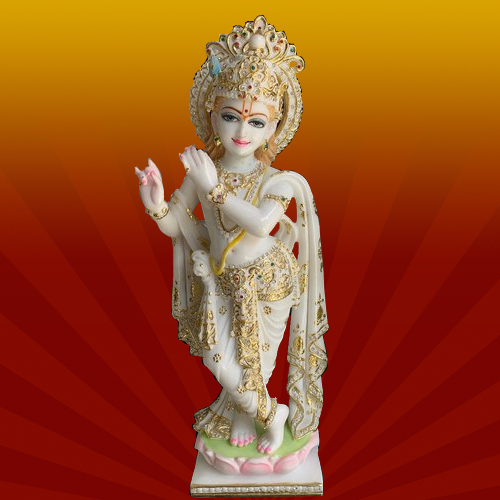 We present intricately sculptured Krishna Statue in mesmerizing designs and patterns. The idol is adorned with vibrant ornaments and accessories adding extra charm to their glory and appeal. These are available in market at most economic rate.